Submit your 2019 Early Commitment Form and deposit to guarantee your studio’s participation in our 2019 season! See below for more information on our early commitment incentives! Step 2: Once all final entries are entered into our online registration system and you are ready to submit payment, notify HD Mgmt. at hddancecompetition@gmail.com to receive your discount code. Enter your code into the online registration system to redeem your studio discount and complete registration. Your code will expire 30 days prior to the event to ensure payment is submitted on time. 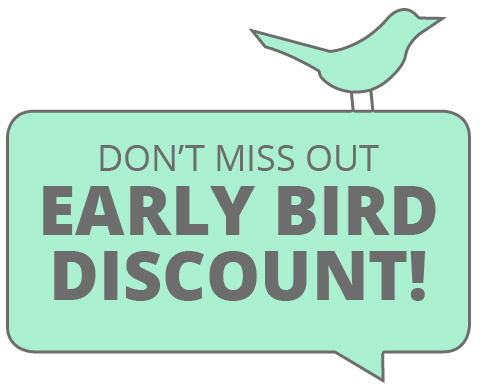 The early-bird discount excludes the media fee and any purchase of extended time and can only be used towards entry fees submitted. *Please keep in mind that you must adhere to both the early-bird and 30-day deadline to be eligible. Submitting a deposit does not guarantee your discount until final payment is received 30 days prior to the event. Step 2: Once all final entries are entered into our online registration system and you are ready to submit payment, notify HD Mgmt. at hddancecompetition@gmail.com to receive your discount code for an additional $100 OFF your entry fees. Enter your code into the online registration system to redeem your studio discount and complete registration. Your code will expire 30 days prior to the event to ensure payment is submitted on time. **Please keep in mind that you must adhere to the 30-day deadline to be eligible. Submitting a deposit does not guarantee your discount until final payment is received 30 days prior to the event. Although you are not eligible for the early-bird discount we still highly encourage you to submit a 2019 Early Commitment Form along with a $500 deposit to secure your studio’s participation in one of our 2019 regional competitions. Space is reserved on a first come, first serve basis so make sure to get your form and deposit in as soon as possible.